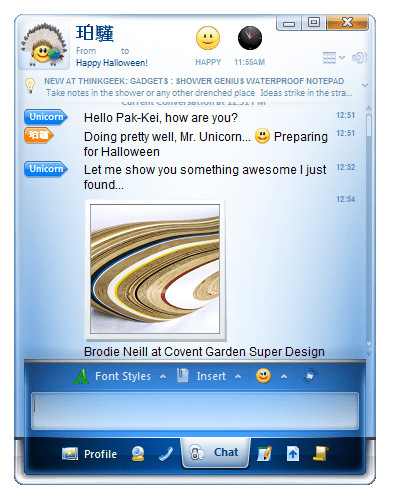 Trillian is a multi-protocol instant messaging program for Windows, that currently comes in two versions — a free, basic version appropriately called Trillian Basic; and an enhanced, commercial version called Trillian Pro. Trillian was first developed as a free IRC client, but didn't achieve popularity until version 0.6 was released in November, 2000. Trillian 0.6 marked a change in direction, adding the ability for Trillian to connect to AIM, MSN and ICQ. There are several features that really make Trillian stand out. First, it's skinnable. 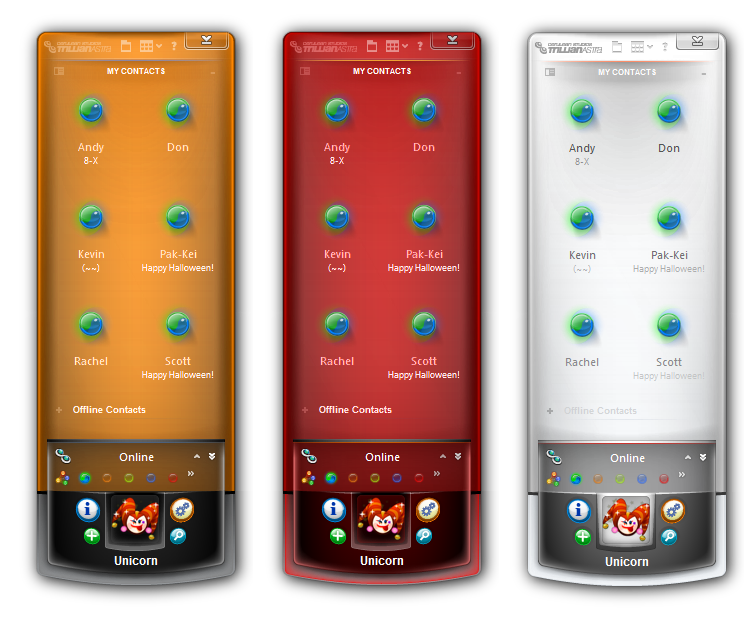 There is a crowd of people who have developed custom “skins” for Trillian that make it look like other IM programs or give it personality. One of the challenges with most multi-protocol IM programs is that you have contacts with multiple accounts on multiple networks. Keeping it all straight can be a challenge. 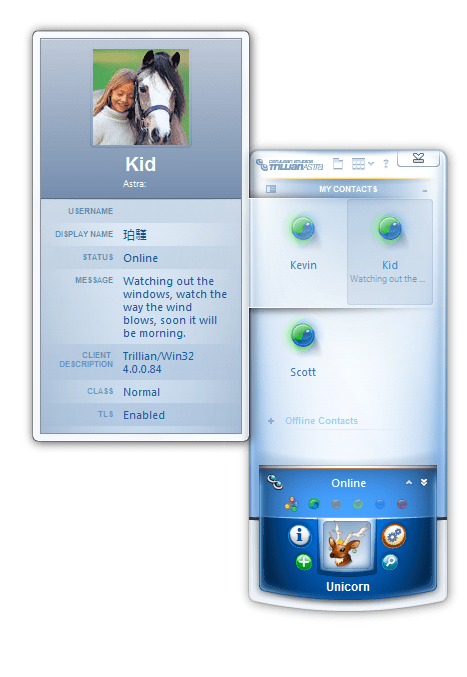 To solve this problem, Trillian introduced the concept of meta contacts. These meta contacts allow you to collect all the accounts of an individual under one name — and you can give it a name that is meaningful to you. This works great when you have contacts with multiple accounts on different networks, and makes it easier for you to tame your contact list. There is an extensive third-party developer network that creates plugins to extend the functionality of Trillian Pro (sorry, plugins won't work the Trillian Basic). There are plugins for the weather, for reading RSS feeds, checking your email and much more. Trillian Astra is the next major version of Trillian (still in beta). Astra promises new functionality, Mac support, a web-based version and a “lite” version. Click the images below for full-size screenshots. Astra has been in beta testing for well over a year. It is still unknown when Cerulean Studios will release it to the public. When they do, BigBlueBall will let you know.